Hey, Guys Hi! 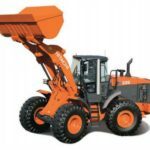 I hope you good, And Welcome to Tractorsinfo.com. I am your vehicle guide is here as usual. 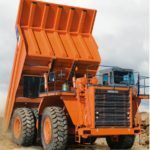 So today here in this article, I am going to introduce the TATA Hitachi EH 1100-5 Dump Truck Information such that price list, engine performance, Drive axle, Transmission, Hydraulics system, steering system, Body capacity and more, That all kinds of information, are genuine and reliable. 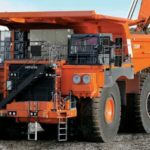 I hope it helps to you for buy or sell this model Dump Truck. Ok friends, So Let’s start it. I haven’t genuine price so friends please contact on this Toll-Free Number and Also any other Inquiry 1800 3456 500. Alternative tires and tread patterns may be available. Body capacity and payload subject to change based on customer specific material density, options, and application. 24-volt starting, lighting, and accessories system. 75-ampere alternator with an integral transistorized voltage regulator. Two 12 V heavy duty batteries capable of 1425 cold cranking amps, each, at -18 degree C (0 degrees F). 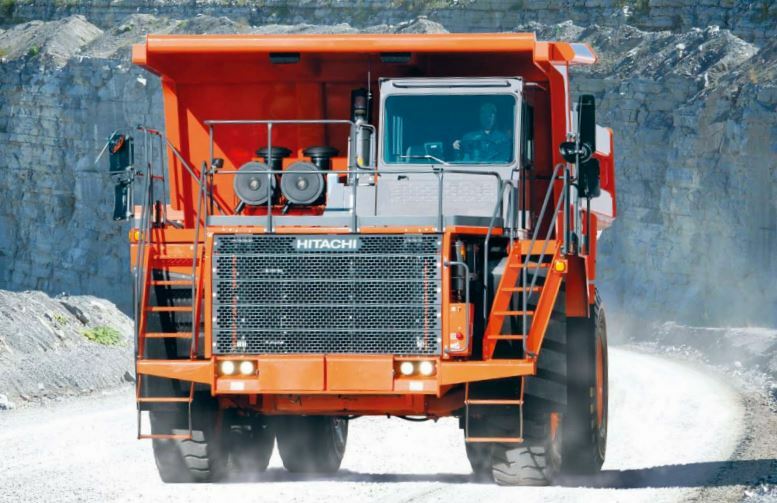 A Hitachi solid state reprogrammable controller controls and monitors hauler systems provide output information to control gauges and lights and incorporates connections for diagnostic tools. 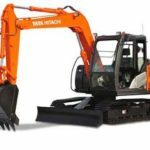 All-hydraulic actuated front dry disc brakes and rear oil-cooled wet disc brakes are equipped. 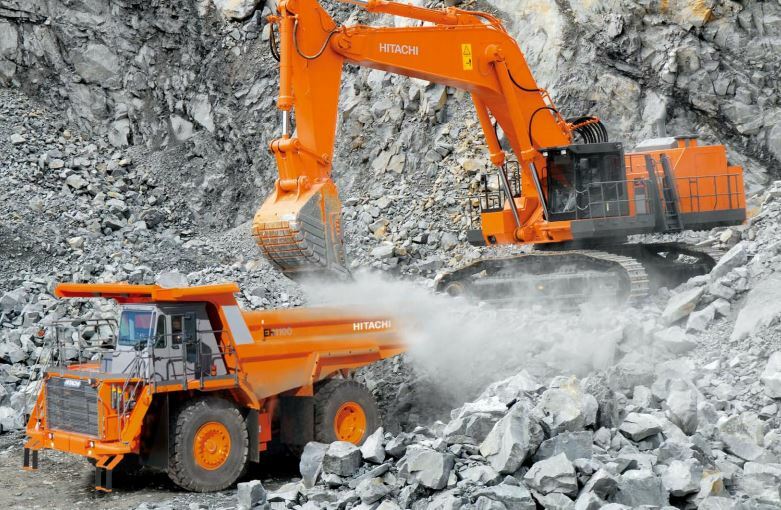 The Hitachi wet disc brake is engineered for long service life even in the most extreme environments. 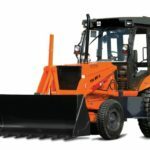 The foot-operated valve controls all-hydraulic actuation of oil-cooled wet disc brakes on the rear axle. 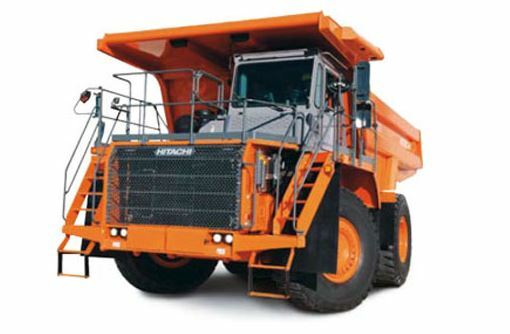 The system provides modulated pressure to rear brakes for constant speed control. 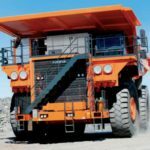 That was all about the TATA Hitachi EH 1100-5 Dump Truck, I hope you like this article, but if you have any problem regarding this article, then please comment for us. If you have any suggestion for this article, then please tell us. We will immediately apply it. Thanks for visiting our site and stay with me for more stuff like this.